The dual mass flywheel makes it possible to enjoy a more comfortable driving experience while consuming less fuel, as it reduces the vibrations in the drivetrain. Among its many contributions, this innovation has had a profound impact on the success of the diesel engine. 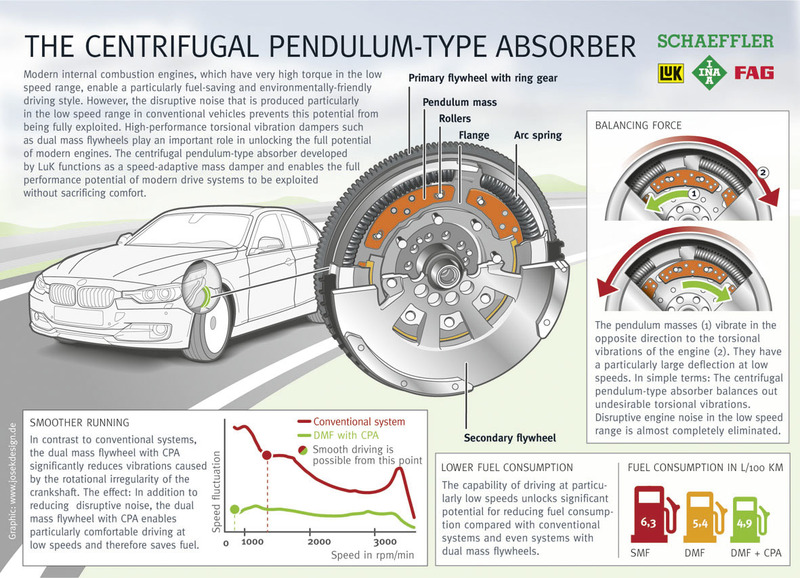 The innovative dual mass flywheel with centrifugal pendulum-type absorber is another key component for improved fuel economy and lower exhaust emissions, and it enables even higher driving comfort at the same time. Today, there are also components available that can dampen vibrations in the engine, such as dampers for crankshafts and balancer shafts.